How To Create a Butcher Logo? If you own a butcher shop or process meat, an appealing logo is the best way to promote your business. Amidst tough competition, your goal is to attract loyal customers and let everyone know about your business. A logo can directly affect your brand popularity and, eventually, your profits. 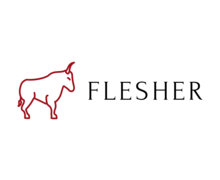 Images that often appear on butcher logos include cows, pigs, chickens, and other farm animals. When looking at an icon like this, potential customers will instantly know what you do and what products you offer. To emphasize the top quality of their meat products, butcher shops often use axes and knives as their brand imagery. In terms of shades, the butcher industry prefers black and red, including various hues of the same. While black indicates your ambitious plans, red identifies your industry. 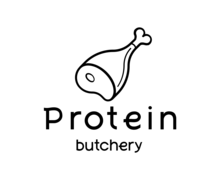 How do I create a Butcher logo for my brand?